School safety is always a priority. 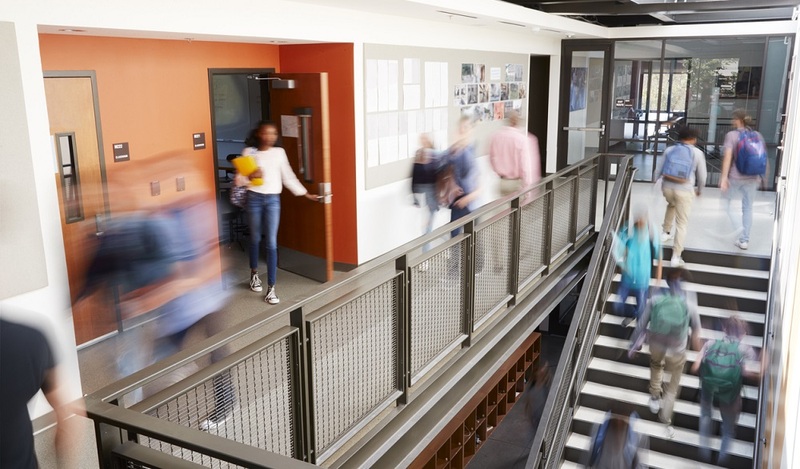 In the months since the Parkland shooting, safety has dominated conversations in school districts from coast to coast. Concerned parents and students want to know what schools are doing to keep them safe—and, increasingly, they want a louder voice in those conversations. 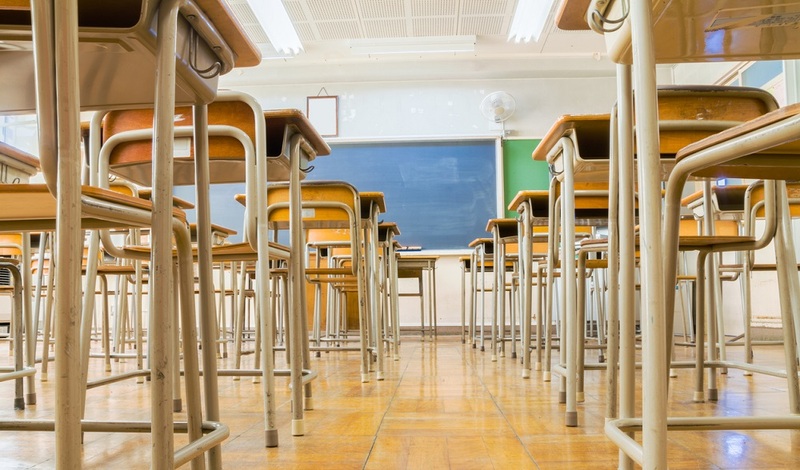 Facing palpable concern about its school safety policies in the wake of Parkland, the Klein Independent School District in Texas recently launched Keep Klein Safe. The new initiative includes training for staff and a new online forum, where community members can turn to report threats, ask questions and read the latest safety information. Klein uses Let’s Talk!, from K12 Insight, to power its new reporting tool. The cloud-based software solution gives community members an easy way to reach district leaders with questions and concerns, 24/7, and helps administrators and others collaborate to provide timely and accurate responses. We recently caught up with Superintendent Dr. Bret Champion and his team, including district Police Chief Daniel Kimberly, to talk about the initiative and how it is working to give students, parents and staff a voice in school safety. What follows is an edited transcript of that conversation. SHELBY MCINTOSH, MANAGING DIRECTOR, K12 INSIGHT: Good afternoon. Thanks so much for joining us. We’re really excited about the content that we have to share with you today. Really quick, just a couple of notes about me. I’m the vice president of client success here at K12 Insight, which means I get to work with our school district partners all over the country and I get to hear really wonderful stories about the work that they’re doing all of the time, including the story that we’re going to share with you today out of Klein ISD in Texas. 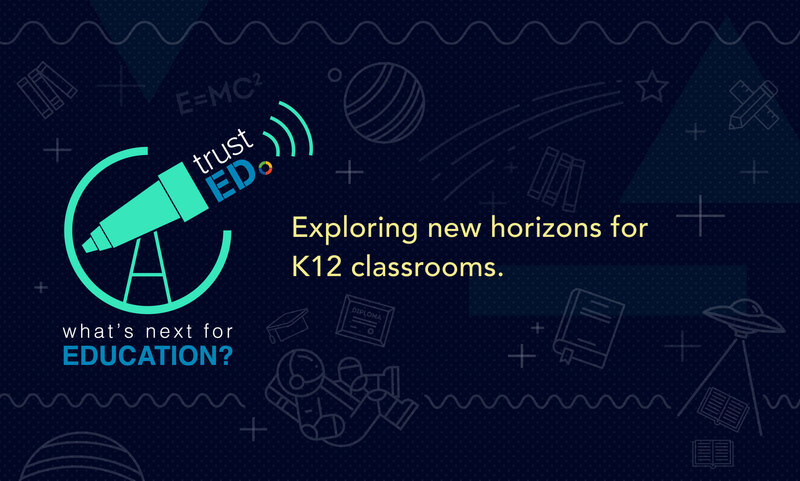 A little bit about K12 Insight before we jump into this topic. We’ve been around since 2002. Our main mission is to help school districts build trust with their stakeholders, really building them up to be leaders who lead by listening. We’re proud to work with over 400 school districts across the country and to be affiliated with some of the premier education associations. We’re talking about safety today and safety has always been a top priority in our schools, but it’s different today than it was 15 years ago when I was in the classroom. It’s not just about physical safety, such as locked doors and cameras. In the wake of Parkland and other recent tragedies, it’s become more about emotional safety, and this feeling of knowing that our students are safe and that parents can understand or feel a sense of security and safety for their kids while they’re at school. And as part of that, we need to give our community a voice to report what they see and to ask questions. Just a few statistics here to remind us how we got to this point. These come from the Educator’s School Safety Network. They estimate that there have been over 960 threats made against K-12 schools just this year, just in the first part of 2018 and over 100 incidents of so-called violent incidents in our schools. That doesn’t include things like bullying and fighting. When you see numbers like that, it makes sense why this has become a national conversation. Again, at K12 Insight, our work is to help build trust between school districts and the families they serve. Obviously, a sense of safety is a big part of that trust. 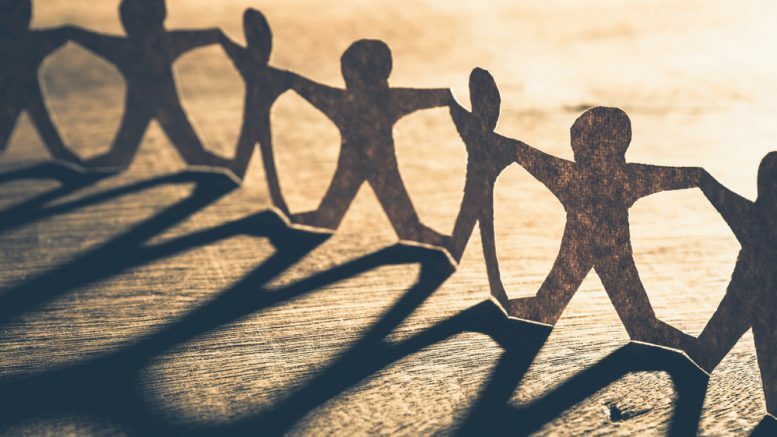 A key part of building that trust is giving parents and students and staff a voice, especially when it comes to helping them build a sense of physical and emotional safety. It’s become increasingly clear that schools have to give parents, students and others a way to step up and report potential problems, or ask questions that will help them feel a sense of security and build that trust with their school district. So, as part of that, we wanted to tell you this story about the great work that our friends at Klein ISD are doing. We have a great team from that school district joining us today. I’m going to introduce them to you very quickly. Dr. Bret Champion is the superintendent there and Dr. Jenny McGown is the deputy superintendent. Chief David Kimberly is the police chief of the Klein ISD Police Department. Judy Rimato is joining us; she’s the assistant superintendent of communications and planning. And, from her team, Justin Elbert is joining us. He’s the community relations manager. So, Klein ISD recently launched a new initiative called Keep Klein Safe. The program includes both in-person safety education and an online tool for reporting potential threats and concerns. Most importantly, parents, students and staff can use the site to find answers to frequently asked questions and then ask questions that they don’t find answers to on that page. The team says that this initiative is contributing to a safer school climate. They’re joining us here today to share how it works. Before we dive very deeply into this initiative, I’m going to turn it over to Dr. Champion so that he can tell you a little bit more about his district. BRET CHAMPION, SUPERINTENDENT, KLEIN ISD: Thank you so much, Shelby. It’s an honor to be here today. We certainly appreciate our terrific partnership with K12 Insight and the work that your team continues to provide for us here at Klein ISD. The district is definitely not my district. Klein is definitely our district and we’re a small representation of it here today. There are obviously a whole lot of folks who work on this project and help things forward. Specifically, Klein ISD is a district of over 53,000 students. We are in Northwest Harris county, all in unincorporated areas, so there’s not like there’s a city that has a city council and a mayor that’s Klein, TX, so if you’re looking for that, it doesn’t exist. We are … Kind of the center of the community is the schools. We are very much a school district of rooftops. There’s not a whole lot of big industry. When you think of Houston and all the big things that Houston does and we have the folks who live here in Klein and go out and do remarkable work throughout Houston and all of Harris county and we get the great joy and blessing to be able to work with the students whom we have. One of the things you’ll hear us talk about literally every time we speak is our shared vision, which in Klein ISD is that every student enters with a promise and exits with a purpose and that’s the sole reason for our existence. And so as we continue to move anything forward, we have that thought. That idea of all of us with our arrows pointed in that direction at the forefront of anything that we do. Our district has, in terms of the metrics you would see around the school district, we are a very successful school district. Our teachers do terrific work with our students every day and that’s born out in a variety of ways, whether during graduation rates or SAT scores or wherever you want room for improvement, but we are certainly seeing a lot of good things happening in Klein ISD. We’re also really centered around three strategic priorities and those are: Reimagine learning, cultivate talent and build community. And so, again, as we think about our shared vision, we use those strategic priorities in order to move that vision forward and so we’re engaged in a lot of work around those particular strategic priorities. Of course, as we think about this particular project, we think about build community and what that looks like. And so, this was just another opportunity for us to be able to communicate well with our community at large, with our internal community and external community, our students as well, so that we can ensure that those feedback loops and feedforward loops continue to be very real and active in the district. So, that’s a bit about Klein ISD. SHELBY MCINTOSH: That’s really helpful. Thank you Dr. Champion. I want to ask you a question about that last point that you made, about that communication. We know that in the wake of Parkland and other recent tragedies that school safety has been top of mind for a lot of people. As I understand it, that is absolutely true for your district as well. So, can you tell us a little bit more of what the climate, the environment was post to that event and maybe what led you to this initiative. BRET CHAMPION: Post that event, that terrible tragedy, there was just this—palpable is the word that comes to mind—just this palpable need for people to hear and to understand that our students are safe. And that was for our employees, that was for our parents. There was this need, this urgency around it. Obviously, this is something that we talk about all the time. Safety is always our top priority. Without safety, both physical and emotional safety, we can’t make our shared vision come to life. But in the face of that tragedy at Parkland, there was a real need to be able to communicate. Not just to push our message out, but so many people in the district were getting questions and trying to understand how all the pieces fit together, asking how can we best ensure that what we’re doing is really keeping our students safe? We had questions from all sectors of our community. Great questions from our parents and our students, and certainly from our staff. SHELBY MCINTOSH: You made a really good point when we first started asking you about this work that school safety is a 24/7 job. I’d love for you to just speak a little more about that. JUSTIN ELBERT, COMMUNITY RELATIONS MANAGER, KLEIN ISD: This is Justin Elbert. Decades ago or so, school ended. At the end of the school day, school ended and the kids went home, they went to their families, and that was the end of their responsibility. Now, the kids go home and they’re even more connected at home than they are in school. So, they’re in their rooms and they’re connecting and they’re going back and forth and they’re sharing. That’s the thing. They’re sharing all these pieces they hear. They’re our eyes and our ears and we had to find a way to peek into that and get them to outcry to us. Get them to self-report. Our students know their friends and their community better than we ever could, so they’re able to get out there and use Let’s Talk! and report what they’re seeing. DAVID KIMBERLY, POLICE CHIEF, KLEIN ISD: This is Chief Kimberly. As Justin mentioned, we have this 24-hour-a-day clock, if you would, around the school district. This place never sleeps. As such, we have a 24-hour-a-day police department. Much of this connectivity, or what Justin’s referencing, the connectivity after hours, many times our students will make the report via the Let’s Talk! app, or through our Keep Klein Safe website, or even on social media as well as phone calls, or maybe even through their parents. Let’s Talk! allows us to get a head start before the next school day, to go ahead and start working, looking at these dialogues and making our way through them. Because, again, the priority is making sure that our schools are safe, that our kids feel safe. Through our connectivity with them, using this tool called Let’s Talk!, we can provide almost instant feedback or very timely feedback to our students and our parents and our staff. SHELBY MCINTOSH: That was one question that comes to mind, specifically with how kids are using it. Are you finding that what you are receiving through your Keep Klein Safe page is it all threats, is it more questions? How are students using the tool? DAVID KIMBERLY: It’s all of the above. We’ve got students asking questions about administrative things and situations that have occurred on the campus. Some of it is threats or concerns. We’ve had students report concerns about other students and it’s allowed us to reach out and work with the administration or counseling department to make sure that we’re reaching the student that the concern is expressed about and working with that student to find out if it is a valid concern, and if so helping get them in the right place, get their parents involved and making sure that we’re getting them the assistance they might need. JENNY MCGOWN, DEPUTY SUPERINTENDENT, KLEIN ISD: I think what’s been great is that we’ve had Let’s Talk!, and we’ve had great interest in the use of Let’s Talk! through our parents and through the community. But, when we started using Let’s Talk! for Keep Klein Safe, that is really when we saw a huge spike in students using the technology to get access to help, to get their questions answered, to as chief said, report if they have a friend that they’re concerned about. What’s been so beautiful is the way that Let’s Talk! has allowed us to really serve the whole student and to better meet their needs in a very timely, responsive way, as well as provide a safe place for them to share with us their concerns and their thoughts, where we can actually take action quickly to help address those needs. Sometimes students will post things on social media and it may or may not be a place where we are monitoring and may not be a place where we’re connected or linked in with that conversation, but by providing them a safe space on Keep Klein Safe through Let’s Talk!, we’re really able to hear their voice and get them the help and assistance that they need. It really has been a phenomenal way to even deepen our partnership with the Let’s Talk! app. SHELBY MCINTOSH: You touched on something in terms of timeliness and I think that’s one component of this tool that we’ve sort of, I don’t want to say stumbled upon, but the whole customer experience aspect of it and how, whether we’re talking about safety or anything else, when it comes down to interacting with our stakeholders, there’s a customer service component to it. Could you speak a little bit to how some of the data that you get behind, whether it’s students or anyone else using this tool for safety or any other topic, how this kind of information helps you in the work that you do? JUSTIN ELBERT: For us, the ability to tag incoming dialogues with certain key phrases. Is this a mental well-being issue? Is this an outcry? Is this a threat report? We can tag it per campus and get the analytics back for that. We can pull a report and say, “How many times has a threat been reported on Let’s Talk! to this specific campus?” or “Have we seen a recent spike in the number of kids that are reporting that their friend…” We had one a couple of days ago, a friend said, “Hey guys, I don’t know if this is my place or not, but my friend seems really depressed lately. He seems a little bit off.” And we reported it, got the kid some help. Who knows where that could have gone? But this is a way the kids feel safe. They felt safe using this online platform. DAVID KIMBERLY: Justin’s wrong, I just haven’t figured out how to turn the notifications off so it wakes me up in the middle of the night. (LAUGHTER) However, that particular instance that Justin was talking about a minute ago with the student that made the report, they were concerned about their friend. The beauty of this is that many times on a social media platform, or even an anonymous email, getting that response back, in this particular instance, we needed more information. Mind you, we have a high school campus, and that particular campus has almost 4,000 students on it. To narrow it down by first name and a very basic description, because I had no idea the name of the person who was reporting it. I believe our kids really like being able to remain anonymous, but being able to message back, “Can you give me more details?”, they very quickly said, “Okay, it’s going to be in this period and this is a better description of the person.” So that allowed us to move instead of chasing through a hundred potential persons. We were able to narrow it down to that specific person very quickly and intervene. So the two-way piece of the tool has been phenomenal. SHELBY MCINTOSH: You mentioned how students and parents and staff are using it to report threats, to ask questions, of course they can access those FAQs that you guys have on the page where they can submit their questions and report anything. What has the community’s response been, whether it’s a parent or a student, or a staff member, how are they responding to being able to communicate with you in this way? JUDY RIMATO, ASSOCIATE SUPERINTENDENT, COMMUNICATIONS AND PLANNING, KLEIN ISD: I think that the community as a whole has really embraced Let’s Talk!. We’ve used it for a number of things beyond Keep Klein Safe. We’ve used it for strategic planning, where we garnered 6,000 responses and we’ve used it for zoning input, where we garnered many responses, and then Keep Klein Safe. I think it’s just a safe way for the community to contact us and they can do it anonymously, or they can do it hidden, or they can give us their name. Oftentimes, we’ll call them and we always respond to them. It’s just a real safe way for them to be able to get a response back from us, and I think that they really appreciate that. DAVID KIMBERLY: One of the things that the tool, or something that I particularly appreciate with the tool, is the fact that templates can be created. So, it is easy for me to provide that. I don’t have to stop and write the entire response each time, especially if it’s a question or comment that’s come in multiple times. We create a template that allows me to move through those messages fairly quickly by taking the dropdown menu, pulling the particular response, modifying it to fit the exact question, and get it back out to the person who submitted it very quickly. So, it’s not as cumbersome as you would think. I spend a few minutes, and again, it comes in on my phone, it’s an app, so it’s very easy to move through as you’re working through your day. It’s take a minute, answer one, and move on. SHELBY MCINTOSH: A related question to that, chief, that I think would be really helpful for everyone: I often hear a concern or I imagine people listening in may be wondering, this sounds like a great idea, but we don’t have the time or the capacity to answer all of these questions or to respond, and are just worried about the volume that would come in if they opened themselves up in this way. How would you respond to that concern? Really anyone at the table. DAVID KIMBERLY: For me, and I’m going to be very careful how I word this, but if we have a student who might cause harm to himself or others, what’s your time worth? We need to make time. And this is not that cumbersome. It really is not that cumbersome, and it’s worthwhile. We are a district of over 53,000 students. That’s significant. That’s quite a few students and we do get quite a few messages. But again, the way that we’re working through the Keep Klein Safe, it allows them to look at the FAQs. If they’re not getting the information there first, if their questions are more specific, they can go to the Let’s Talk! and get a more specific response. But I think we owe it to our students, our staff and our parents to be available to answer these questions. JUSTIN ELBERT: I would tailgate on that and add just two things. It’s very important that we build those templated responses, so we’re staying on message to our kids, especially about certain things like staff carrying weapons, or how do we feel about certain issues going around. We build those templated responses so they’re all that message. Number two, farming this out and trusting your staff. It’s not a sole person doing this. It has to be a team of people watching Let’s Talk!, and you all kind of work collaboratively to answer. Otherwise, it can’t function as one person. JENNY MCGOWN: We talk about at Klein ISD that every leader in the organization has to be a skillful communicator, and that’s just an expectation. Additionally, to add on to what chief has said, our students are worth our communication and one of the things that’s been so helpful about channeling all of the questions and the concerns, or at least the overwhelming majority of them through Keep Klein Safe, is that it allows us to really monitor what the conversation is. And I think that’s invaluable to a district. When you can get a good feel for what people are worried about, what people are concerned about, and then you build these templates, and you build these FAQs. It just helps everybody get the information they need, so that they feel safe, so that they can do their job or they can come to school and learn. That’s invaluable. SHELBY MCINTOSH: That makes complete sense and you made me think of another point that we really wanted to hear you talk about. Jenny, in Klein you have always been so focused on the whole child, especially when it comes to not just how you’re teaching them, but also how you’re serving them. You made a really good point when you talked about Keep Klein Safe, that it’s not just about physical safety, it’s not just about reporting threats, that there are some teachable moments around digital citizenship and mental health that come into play as well. Can you tell us a little bit more about that? JENNY MCGOWN: One of the things that has been a definite teachable moment recently is just the idea that the words and the things that we do online carry the same weight as if you’re sitting face to face around the table with one another. For our students who live in a very connected world and are constantly connected via social media to one another, them learning the lesson of how important it is to be a responsible, kind, courteous, digital citizen, as well as a citizen who demonstrates integrity in their daily actions, whatever space they’re in, whether that’s online or in person, that they have to exercise the same good judgment no matter what. 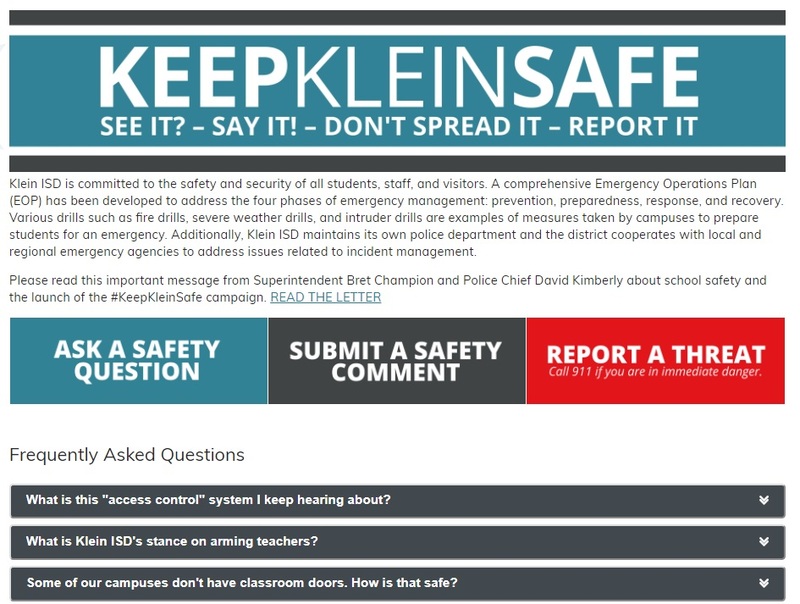 Keep Klein Safe has helped us as certain things have been reported to us and students haven’t made the best choices, helped us to be able to know about that. Then to work with them through that process of realizing how to make better choices in the future. So, I think that’s definitely been one teachable moment for our students. We also, of course, to your point, Shelby, around the whole student, we really do care about our students being mentally healthy in Klein ISD. Yes, we want them to be equipped scholars and we want them to be physically safe, but we also want them to be mentally healthy. So again, being able to use this particular campaign to get a feel for the conversation around the things that students are worried about, that they’re concerned about, the way that our students are feeling, and then being responsive. Not only connecting them to the chief of police, for example, but also getting them immediately connected to our counselors, to our parenting community and engagement support. That has just been so helpful to us as a district as we try to keep students safe from their heart to their head to their physical bodies. We want the whole student to be safe in Klein ISD. SHELBY MCINTOSH: Thank you for sharing that, which leads me to my next point. We’ve talked about kids and we’ve talked about parents some too, but there’s a staff component to this as well and teachers and staff certainly want to have a voice. Will you guys speak a little bit to, I know this is not just an online initiative, especially when we talk about staff, it goes beyond what you are doing on the Keep Klein Safe website. Would you mind speaking to that a little bit? BRET CHAMPION: As you can tell, our chief of police does a terrific job here at Klein ISD. He’s the most hands-on police chief you will ever find, I guarantee you, and we appreciate him and certainly appreciate everyone who is doing this great work. But one of the things that became very clear was that our staff had a lot of particular questions. Instead of just answering those electronically, Shelby, to your point, Chief Kimberly did something unique. So, chief, why don’t you talk about that. DAVID KIMBERLY: Certainly. After we launched Keep Klein Safe, we knew that many of our teachers as it related to particular active shooter events and/or just general safety in our buildings, there were some concerns and we didn’t experience anything different than other districts. So, at that point, I started meeting with each campus, with all of the staff members as well as some of the departments. My goal is, I have not finished because we have quite a few of them, but before school or after school, meeting with them and working through not only what the Klein ISD Police Department has done to prepare for an event that we pray never occurs, and some of the things that we’re working on as it relates to our buildings, but the Keep Klein Safe website as well as helping our teachers, or just making sure our teachers understand the resources that are out there when they are identifying a student they may have a concern about. And so, it’s put our staff at ease, considerably at ease, making the rounds. Again, I still have a few to go, but very, very positive feedback from those that I have visited. BRET CHAMPION: We recently announced that we’re going to be looking to make some security improvements across the district and by chief going and talking to all the staff, those guys are in the buildings in a very personal way every day and so he really got some good feedback about where are some areas we need to make our security better. There’s always room for improvement and from their perspective, what would make the most sense. So, I think that’s something that we’ve discovered as well. DAVID KIMBERLY: Absolutely. Not only buildings, but things they want to know personally because again, much like with the whole student, we’re looking at the whole staff member, not only their daytime or their school day, but their evening, when they’re at the grocery store or when they are out and about at the movie theater, wherever they might be. Just some things, asking them to pay attention to and giving them some ideas and things that they might be looking for, and how they might respond if they find themselves in a situation. SHELBY MCINTOSH: You’ve talked quite a bit about building trust and we talked about the staff component, but then going back to the students and the parent groups. This is often what we preach. People have to be able to reach you, to access you, and their timeliness is incredibly important in terms of how well they feel cared for and we want the responses that they get to be accurate, complete and courteous. And so, any additional context you can give us in terms of how you are trying to do these three things and any success that you’ve had, whether it’s through the use of the Let’s Talk! tool, or otherwise? Any other advice that you would give our audience around these three ideas here? JUSTIN ELBERT: Like any school district, we have multiple platforms, Twitter, Facebook, Instagram, all those places. The thing is, anybody can contact you on any of those platforms, but we’re not all watching them the same way. We’ve kind of pushed Let’s Talk! and Keep Klein Safe as a place that we’re there if you need us, and I think that’s key because when people, we all do it, you go on a system and it says, “Chat with us,” or “Talk to us,” and you put in a message, the first thing you do is you expect an immediate answer. That’s the first thing and every second they wait after that, that’s eroding, not just trust, but, “Is this system going to work? Is this the right place to be?” And that’s something that we really push that we’re trying to be there quickly. But it is those three things. That’s how you build trust in your community. You give them a place to talk and you give them a voice and then you do answer them. Sometimes, they don’t like our response. But they respect the fact that they got a response in a timely manner from a person that, coming from a place that they have the students at heart. That’s what’s best for students, but I think getting that response, even though they may not like the response, they respect it still. DAVID KIMBERLY: Beyond that, if you look at Keep Klein Safe, it says, “See it, say it, don’t spread it, report it.” If we’re not responding to them in a timely fashion, social media is a wonderful tool, but it can also be a very disruptive tool. We’d much prefer a very timely response through, whether it’s Let’s Talk! as opposed to it hitting social media and us maybe not seeing it, or it being delayed getting back to them. With the Let’s Talk!, again, it’s a direct notification to a whole bunch of people that are a team and we’re able to get them an answer back. I’d reiterate again, see it, say it, don’t spread it, report it. This is an avenue that we’re pushing hard to our students, staff and parents. SHELBY MCINTOSH: Great. I just have one more point here to get you guys to speak to. I think it is very easy to see a piece of technology and check a box and feel like you’re doing it right. And we know, even as someone who’s a provider of technology, that technology itself isn’t going to make schools safer. So, Dr. Champion, or really anyone else, anything else you would add about your initiative as a whole? I know it’s not just technology. So, anything you would say about everything else that you are doing as part of this work. BRET CHAMPION: First off, I really want to also thank Justin who helped kind of put some context around this notion of Keep Klein Safe. He did just this whirlwind of research until heaven knows how late one night looking at what other districts were doing and trying to pull from the best of all those things. That’s one thing that’s really important to note: There are a lot of folks doing some remarkable work out there and we absolutely need to learn from each other. We talk all the time, Jenny. Jenny made a good point that our students, our kids, are connected all the time and we really need to live in that world too. We need to be connected all the time and be sharing these opportunities. I want to thank Justin for helping us structure this particular one. And it certainly was larger than the tool. This tool has definitely had the most legs, let’s be clear, because it continues to be a constant piece that we listen to, that we get feedback from, and so that does continue. But it has to be a cultural norm for there to be natural feedback loops. Then you’re listening and not just giving an answer but acting on what you’re hearing. This has to be a large part of the way it works. The other thing that happened is, Chief Kimberly and I put out a joint letter to launch this thing. So, this was not a soft launch. I mean, it wasn’t bells and whistles, but it was like, “Hey, everybody, we’ve been getting a lot of questions around what are we doing to keep Klein safe. Well, here’s some things.” So we shared a lot of things that are already going on, some things that are planned for the future, “Oh, and by the way, here’s a way for you to ask any question that you want.” And then it takes great folks to be able to respond to all of those pieces. What else? What am I missing in that, Justin? Because if you can handle those issues on the front end, there isn’t a need for this really. There’s always a need for this, but we can handle a lot of those things on the front end and get the kids help and get help faster and quicker. This is the tool to help do that before it becomes an issue later on. SHELBY MCINTOSH: I just love hearing you say that. As much as we love our technology, at the end of the day, it’s not about us. We want it to be something that amplifies the work that you are doing that scales what you want to do and allows you to do it across your entire district on a much bigger scale than you could do it alone. So, I love that, it’s been something that’s allowed you to do it to scale it and amplify what you wanted to do from the beginning. A bit more information here. If you’re finding that you want more on school safety, as valuable as this conversation has been, we also have a podcast up on TrustED, which is a great resource by the way. If you’ve never heard of TrustED, our team does an incredible job of pushing content through that platform. You can access it through our website at www.k12insight.com. But they’ve just posted a new podcast with Nora Carr, the chief of staff in Guilford County, North Carolina. Be sure and check that out. And, of course, if you’re sitting here wondering what would Let’s Talk! look like in my district, or wanting to know a little bit more about how you specifically could use it, I’m happy to talk you through that. I can be reached by email or by phone. You can use either of these to reach out to me and I’m happy to talk you through that. Before we get off the call, I can’t thank the team in Klein ISD enough. We love working with you, and so we just are really grateful for you for sharing your story today. I’m sure that everyone on the call really benefited from hearing about your work, so thank you again. BRET CHAMPION: Before we go, we just want to again thank K12 Insight. You all have been incredible partners with us for almost two years now, Shelby. I remember we talked whenever I was coming in to the district about doing a big survey and you all were incredibly helpful with all of that work and through our strategic plan and now with the Let’s Talk! app that we continue to expand in Klein ISD. We certainly appreciate your partnership. SHELBY MCINTOSH: Absolutely. And thank you to everyone for joining the call today. We appreciate your attendance and hope you have a wonderful rest of your week. To watch the full presentation, check out the video here. Be the first to comment on "How to give your community a voice in school safety"